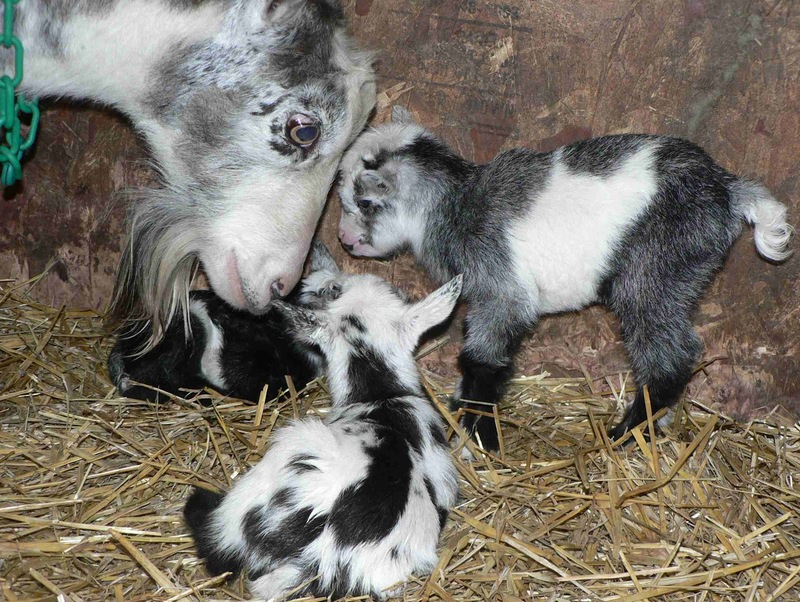 If you are new to goats, you probably have dozens of questions about kidding, which is when goats give birth to kids. Here are a few resources for you to help you understand the process and know what to expect. First of all, you need to make sure your goat is pregnant. 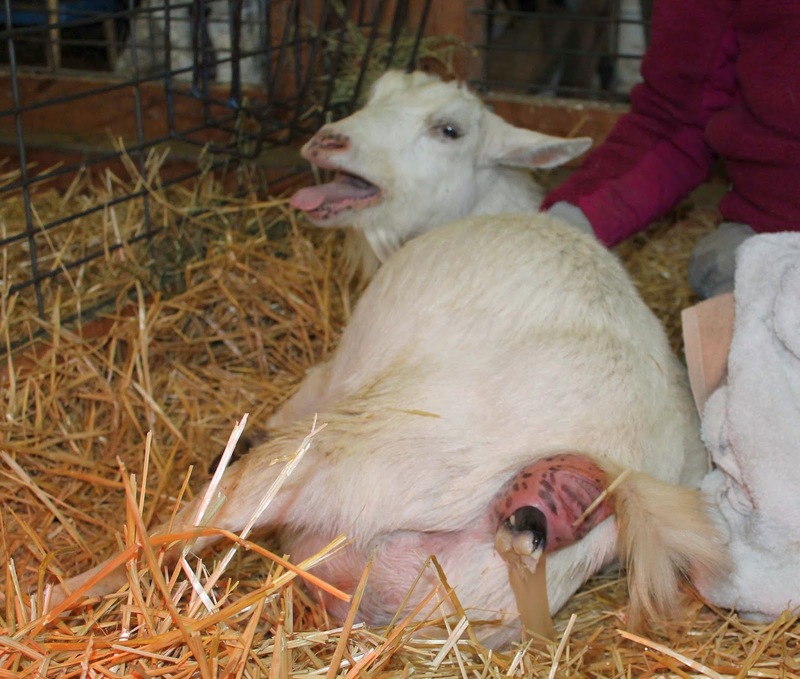 Forget about the pooch test, the ring test, and the bleach test, and check out this post, Is my goat pregnant? The post includes a quiz and a video, along with the latest information on pregnancy testing in goats. 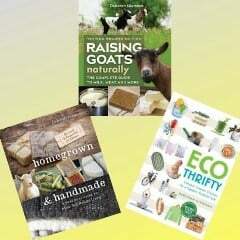 Once you know your goat is pregnant, you need to provide the best possible nutrition. 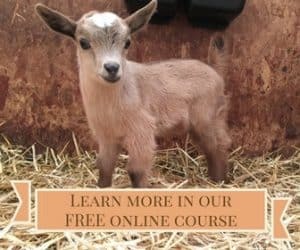 Check out this post about figuring out exactly what your goats need — Do goats need grain during pregnancy? If you live in a cold climate, this post gives you tips on making sure the mom and kids survive: Kidding in winter. 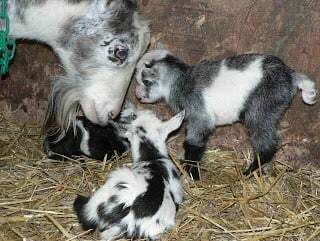 If your doe has triplets or quads or more, you might be wondering if she can feed all of them, especially since goats have only two teats. This post explores that question — How many kids can a doe feed? How do you know if your goat kids are getting enough milk? Or are they getting too much? This post answers those questions — Is my goat kid fat? Kidding is the most exciting time of year on our farm, but it can cause novices to worry. However, as they say, knowledge is power. The more you know, the better prepared you’ll be to make informed choices and to handle anything challenging that pops up. The link to castration options doesn’t seem to be working. Thank you for putting everything into one post. Thanks so much for letting us know! We fixed it the day you posted, but I just realized we had not let you know. Thanks for sharing! It was an excellent refresher going into the kidding season!